Printing costs can quickly rack up even in medium sized offices. Much of printing costs can be saved by sensible use of the print function. Paper is wasted as people print to test, print to keep copies, print stuff off the internet and so on. You can save on those trips to the ink toner store and the stationers by implementing some easy to follow guidelines on printing. In these days of limitless cloud storage, anyone printing emails should be surcharged for ignorance. Printing emails to keep a copy is rampant especially in large organizations where people feel the need to keep evidence of communication. This should be discouraged at any cost. Anyone who needs to save a copy can do it on the disk. Ink comes out differently on different qualities of paper. If you are printing on recycled paper for a client marketing pitch, the client will not be too pleased with your efforts. However, if you do it on laser or inkjet paper, the results are great. This could prompt you to be printing on this paper all time, at great damage to your pocket. Know what kind of paper to use commonly and what to use on special occasion. Photocopy paper is the best for common printing. Just like any other machine with moving parts, your printer needs looking into regularly. Printers using toners can accumulate toner dust which leads to paper jams and smudged printing. Blow away dust, clean print heads and electric contacts. This will make your printer more efficient, saving on paper and ink. Margins too wide, big font, double spacing, and badly done paragraphing all contribute to using more paper than necessary. Teach everyone around the office the basics of efficient document production. Print on both sides to halve the paper needed. Some printers are notorious for showing empty toner messages when the toner gets to 25%. Ensure that the toner/cartridge is really empty before throwing it away. Recycling is a great way to save on costs. Use recycled paper for printing bulk documents for internal consumption like reports. Save more with ink toner recycling. 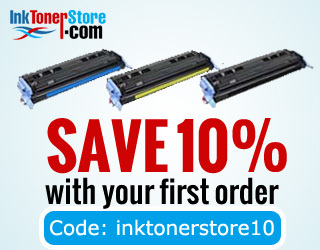 Toner manufacturers have come around this need from customers and companies like HP have refillable toners. Use it on the printer that does most of the mundane printing. This is the best way to save on both paper and ink. Printing to PDF is a better alternative to hard copy with the added advantage that your documents are more easily shareable.